Sluggish response from the rental service has prompted some drivers to terminate their contracts early. As ride-hailing giant Uber formally shuts down and surrenders its Southeast Asian operations to Grab, drivers with contracts at Uber rental partner Lion City Rentals bemoan the lack of clarity on the terms and conditions of their contract as they are left to flounder following the fallout. Lion City Rentals, which manages a 14,000 strong fleet, is operated by Lion City Holdings Pte Ltd, which is Uber’s wholly-owned car rental subsidiary. New and existing drivers who rent a car from five weeks to a year are rewarded with incentives and rental rebates which could range from $25 to $125 depending on the terms of their contract. With the takeover, however, drivers are left in limbo as the validity of their contract is put under question since it states that they can only drive for Uber exclusively, further aggravated by sluggish response from LCR. Palanivelu is one of many drivers who believe that the merger has effectively rendered their contracts void since it’s contractually stipulated that drivers cannot use their private-hire services for platforms other than Uber if they rent vehicles from LCR. In fact, a cursory look at the LCR Facebook page would reveal a flurry of drivers willing to terminate their existing contracts. "There are varied reactions from the ground. Some drivers do not with to drive with Grab and are asking if they can choose to terminate their contract w[ith] LCR instead of transferring over to Grab," National Private Hire Vehicles Association Executive Advisor Ang Hin Kee told Singapore Business Review. The contract clause, according to some drivers, stipulates that the hirer can terminate the contract even before expiry if there have been subsequent changes to ownership but this does not specifically relate to a change in mobile app provider. Drivers, who were previously penalised by Grab but have no other choice to join the platform following the merger, also raised concern about the takeover, Mr Ang added. "To that, NPHVA has helped to lobby for these affected drivers, not including those who were banned due to assault or cheating, to be able to cross over on a clean slate. For other disputes, NPHVA has highlighted the matter to LTA and LTA has agreed to intervene and assist." On its part, LCR announced in a statement on its social media platform that it is now GrabRental’s official fleet partner and that drivers are eligible for incentives following the merger a week after the deal was formally announced to the public. The acquisition of Uber’s SEA operations by Grab will see the latter assume control over the former’s combined operations and assets in eight countries including Malaysia, Indonesia, Thailand, Philippines, Vietnam and Myanmar. This includes the ride-hailing giant’s food delivery platform UberEats which is also set to shut down by the end of May. Also read: Will GrabFood devour Singapore's food delivery companies? Under the deal, Uber will take 27.5% stake in Grab and Uber CEO Dara Khosrowshahi will join the Singapore rival board. The Uber app is expected to cease operations by April 8 but has since been extended. Uber’s joint venture partner ComfortDelGro, which operate the country’s largest taxi fleet is also another loose end. CDG acquired 51% stake of LCH which operates LCR last December for $642m. This launched the UberFlash service which matched riders with the nearest CD/UberX vehicle. However, with Grab’s acquisition of Uber’s ride-sharing business, the terms and conditions of the deal could be renegotiated so that CD can continue to partner LCR with Grab, according to CIMB. “We believe this the more positive move for CD as it helps them to ringfence their interests, enables them to enter the private-hire space and have both interests aligned; especially if the purchase price for LCR could be negotiated lower,” said CIMB analyst Cezzane See. Moreover, regulatory uncertainties continue to hound the merger as the competition watchdog has launched an investigation into the deal, acting on grounds to suspect that the deal violates the Competition Act. "The worry that many have on their mind is that Grab might monopolise the industry. Considering how rapid the changes are in the private hire and taxi industries, it is important that the Government reviews the rules and regulations for the respective industries promptly," Ang added. 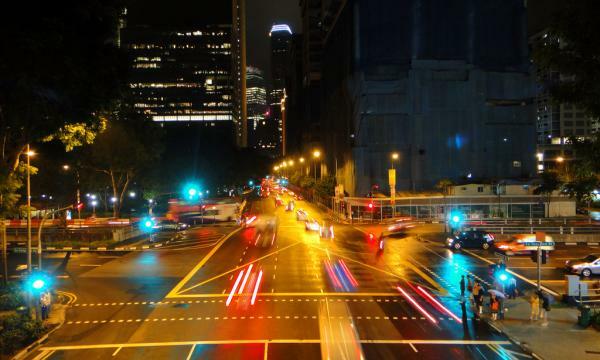 The Competition Commission of Singapore also proposed interim measures requiring Uber and Grab to maintain their pricing prior to the deal - which marks a first for the regulatory authority. The extension allows Uber drivers more time to onboard alternative platforms, Grab added. However, drivers like Palanivelu remain skeptical of the deal as he believes that the merger will only reduce available incentives and earnings, making it less lucrative for drivers.